How To Write A Living Will in the U.K. The term Living Will is not really legally recognised in the UK, but it is used around the world to describe a statement that expresses the types of medical treatments you wish to receive if you were ever unable to communicate for yourself. These are statements made in advance of losing capacity, and so have been called an "Advance Directive" an "Advance Statement" or an "Advance Decision". You may have seen stories in the news about family members disagreeing on the best course of action for a loved one in a coma. An Advance Statement (or Living Will) adds your own voice to the discussion. You can tell your family exactly how you would like to be treated, particularly if you had an irreversible, terminal condition. In the UK, we do not use the term Living Will, but we do use "Advance Statement" or "Advance Decision". What is the difference between an Advance Statement and an Advance Decision? An "advance decision to refuse treatment" lets you explain the types of medical treatment(s) you would not want doctors to give you if a time comes when you lack capacity and cannot make or communicate your wishes. You have to express this whilst you still have the capacity to make these decisions. An "Advance Statement" allows you to make general statements, describing your wishes and preferences about future care should you be unable to make or communicate a decision or express your preferences at the time. There is no restriction on what can be expressed in an Advance Statement, and it doesn't have to be directed at medical staff. Oftentimes, an Advance Statement is written for the benefit of family and loved ones. It can describe your preferences for palliative care, the music that you like to listen to, the clothes that you wish to wear, the types of visits you would like to receive and from whom. An Advance Statement is not legally binding. You are just documenting these preferences for the benefit of your loved ones, who would hopefully respect your wishes. It is a particularly useful document if you have named a Lasting Power of Attorney for Health and Welfare. This person will be able to refer to your Advance Statement to guide their decision making. At LegalWills.co.uk, we cover the Advance Statement and Advance Decision within our MyLivingWill™ service. Although the Living Will is not a legally recognised term, it is well known, and for the sake of clarity and brevity, it makes sense for us to go by the term "Living Will". Why would a Living Will be useful? We regard the Living Will as a part of a complete "Estate plan". Your estate plan includes the Last Will and Testament, your Lasting Power of Attorney for Property and Financial Affairs, your Lasting Power of Attorney for Health and Welfare, your Funeral wishes, and your Executor Handbook. Preparing any of these documents does not mean that you are about to die. You should prepare your estate planning documents, and then put them in a drawer. Just in case. From time to time, take them out, read them through, and see if they still reflect your wishes. You cannot wait until you "need" the documents before writing them. They must all be completed whilst you are fit, healthy and mentally competent. They come into effect after you have lost capacity, or in the case of your Will, after you have died. Of course, you may be in a situation where you know that something is imminent. You may have been diagnosed in the early stages of an illness, or going in for critical surgery, or even going on a trip. In these situations, the timing of your estate planning documents becomes a little more pressing. If you have strong feelings about your medical care, either from a religious or spiritual influence, or even from seeing somebody else go through a traumatic experience, then you should seriously consider preparing your Advance Statements. Can I put this into my Last Will and Testament? No. Your Last Will and Testament does absolutely nothing whilst you are alive, even if you are in a coma or unable to speak for yourself. Your Last Will and Testament only has power after you have passed away. The Executor named in your Last Will and Testament has absolutely no powers whilst you are alive. Your Living Will, Advance Decision and Advance Statement are in effect whilst you are alive but unable to speak for yourself. They are immediately cancelled at the moment you pass away. How does it work with a Lasting Power of Attorney? You can prepare a Lasting Power of Attorney (LPA) for Health and Welfare directly from the Office of the Public Guardian website. This document allows you to name somebody to make medical decisions on your behalf if you were ever unable to speak for yourself and communicate your wishes. If you create an advance decision after creating an LPA for health and welfare, your attorney cannot consent to any treatment refused in the advance decision. If you create an LPA for health and welfare after creating an advance decision, whichever was made more recently takes priority should they deal with the same decision. How can I create an Advance Statement or Advance Decision? There is no official format for an Advance Statement or Advance Decision. You must be over 18 years of age, and you must be mentally competent. There is no requirement to work with a solicitor or a doctor to prepare your Advance Statement or Decision. If your Advance Decision includes a wish to refuse life sustaining treatment, then it must be in writing. The best way to prepare your Living Will is to use the online Living Will tool at LegalWills.co.uk. You should download and print the document, and then sign it in the presence of two witnesses. What can I include in my Advance Statement? What am I not allowed to include? Our MyLivingWill service guides you through the process of preparing your Advance Statement and Advance Decision. There are restrictions on what you can include in your Advance Decision. 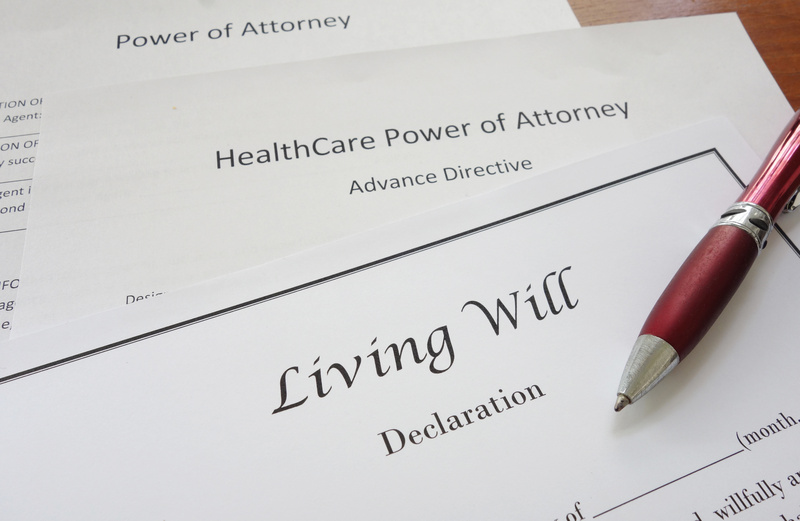 Is a Living Will legally binding? Can it be ignored? An Advance Decision is legally binding and must be followed by a medical professional, even if they feel that your wishes are not in your best interests. If there is no Advance Decision, then the medical professionals will simply treat you in a manner that they feel is in your best interests. If you have a Lasting Power of Attorney for Health and Welfare that was made after your Advance Decision, then the LPA supersedes the Advance Decision. How should I let people know that I have prepared a Living Will? Much like the other estate planning documents, if you have prepared one, and nobody knows about it, you are no further ahead. It is very important that your loved ones know that you have and Advance Statement or Advance Decision. We provide some tools to help with this. We offer a MyKeyholder™ service that grants access to different services for trusted Keyholders®. You can set up a trusted individual to access your Life Locker, Vault, Messages and even your Living Will itself. We also have Wallet Cards available with a unique Keyholder ID. This wallet card can alert the finder to the documents that you have prepared, and allow them to access these documents at the appropriate time.